At Richard Dolgin Private Jeweler we specialize in custom made jewelry and jewelry repairs. In our on premise, state of the art, jewelry shop we can restore or reinvent your jewelry using our years of experience and modern tools and techniques. 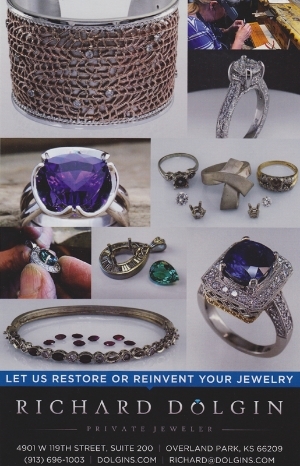 Our latest postcard promotes our custom jewelry creation and repair capabilities. Come see us in Overland Park Kansas for all your jewelry needs.